A classic and luxurious hand tied design of select flowers prepared by your florist to delight anyone's heart. colours to the one pictured. Middlesbrough and the surrounding areas. you have the very best on the day! a vase and presented in complimenting wrapping with a bow. 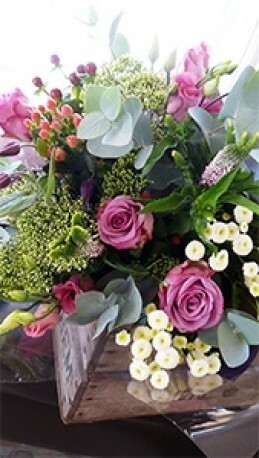 If you have any particular flower requests please try to give 24 hours notice for your order so we can endeavour to provide the requested flowers in case they aren't in our usual stock.